The Facebook Company, on November 9th, launched a new mobile-based application dubbed Lasso. The app is designed to let users create and share short videos with their friends. 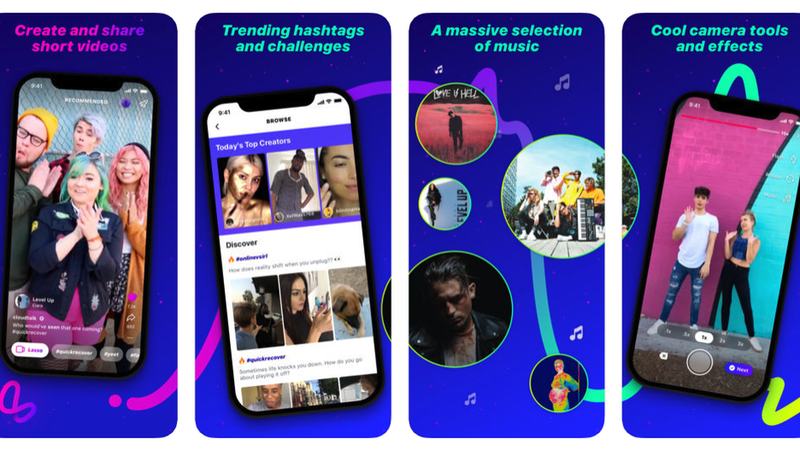 Lasso is Facebook's most recent creation and is specifically designed to attract back a majority of teenage users of the social media platform that Facebook lost since 2014. Lasso has, since launch, been termed as an appropriate clone and competitor of TikTok. It has been designed to enable video and comedy enthusiasts to make use of the short video service platform to create popular viral video trends. Although the app has been well regarded and received by the few users that have had the opportunity to use it, the company, through Bowel Pan, Facebook’s product manager, clarified that it would only be available in the US market. It would, however, be rolled out to other European and Asian markets at a later date. To ensure compatibility with other Facebook products, Lasso allows its users to sign up or sign in using their existing Facebook accounts. The mobile app only allows users to create the video but does not allow one to upload external videos. Lasso is poised to becoming a unique and fast way of creating short viral videos which can be categorized by the use of hashtags. The easy-to-use application, upon signup, takes one to a playlist of various short videos created by other users. The hashtags can also be used to categorize the videos appropriately while the filtering options give one an opportunity to view the content of choice such as short videos shared by other friends. The Lasso-created videos are also shareable in the company's other platforms including Facebook and Instagram. However, the shareability option for Instagram would be rolled out in the future. Although the app is being regarded as overdue, it is targeted at competing with the Chinese TikTok mobile app that has been dominating the market since 2016. Among the key features that are bound to give Lasso an easy market penetration includes the ability of a user to create a video and instantly add other audio-visual effects such as attaching soundtracks. With augmented reality effects poised to be introduced at a later time, the app is expected to create a frenzy as it also allows users to take advantage of various other features including slow motion and fast forwarding recording options that generally boosts its applicability. A user can also play around with captured video by adding special effects and text while exploring other video editing options and tools available. The quality of the overall video, however, is dependent upon the user's mobile phone as Lasso makes use of the host mobile phone camera. Besides, to increase the diversity and applicability of the video editing and special effects, the app has one of the largest music libraries of classic hits, most of which are of old pop nature. Although the company did not create much of a high profile lunch for Lasso, it's released into the market is expected to flow seamlessly well as users would be bound to share its various creative benefits on Facebook's numerous social media platforms such as the Facebook and Instagram applications using hashtags.